ACT Fibernet has rolled out its wired broadband services in Warangal city. With this expansion, ACT now has its broadband services spread across 15 cities in the country. In Andhra Pradesh & Telangana states alone, the Internet Service Provider has its operations spread across 10 cities, out of 15 cities. In Warangal city, ACT Fibernet introduced two broadband plans starting at Rs 549. Last year, ACT Fibernet stated that it has over 65% market share in Hyderabad city alone. In addition, ACT is one of the largest wired broadband service provider in both Andhra Pradesh and Telangana states. ACT has unveiled ACT Swift and ACT Rapid broadband plans in Warangal with broadband speeds ranging up to 100 Mbps. As mentioned, ACT Fibernet has launched two broadband plans in Warangal city: ACT Swift and ACT Rapid. The ACT Swift broadband plan is priced at Rs 549, and it offers 50 Mbps download+upload speeds up to 400GB every month. After the completion of 400GB, speeds will be reduced to 512 Kbps, which is rather underwhelming. Coming to the ACT Rapid broadband plan, it offers a user up to 100 Mbps of download speeds and comes with 800GB of FUP every month. Post the FUP, speeds will be capped to 1 Mbps, which will be enough to stream YouTube videos at 720p resolution. Like in most other cities, ACT Fibernet also introduced offers exclusively for users who choose a broadband plan for six months or nine months or a year. Both the plans in Warangal city are eligible for these offers. Under the six months offer, ACT Fibernet will be giving one-month free service, 75% discount on installation charges. For customers who choose the broadband plan for nine months, the company will be providing a free Wi-Fi router and 75% off on the installation charges. Lastly, under the 12-months advance rental offer, users will get two months of service for free, Free Wi-Fi router and 75% discount on installation charges. ACT Fibernet is providing these offers in other cities such as Chennai, Hyderabad, Bengaluru, Delhi and others. 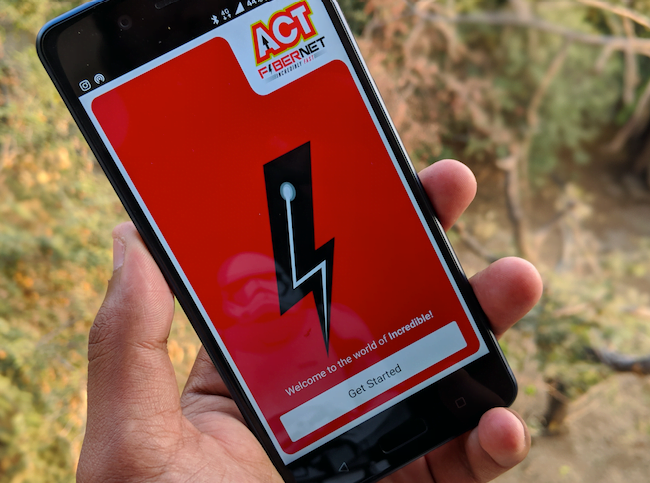 ACT Fibernet was the first Internet Service Provider in India to launch a Gigabit plan. The Bengaluru-based company launched the ACT Giga broadband plan with 1 Gbps download speeds in Hyderabad city back in March 2017. Since then, the service has been expanded to Bengaluru and Chennai cities. Sadly, ACT Fibernet did not launch the 1 Gbps broadband plan in Warangal city at the moment. For the 1 Gbps plan in Hyderabad and Bengaluru cities, ACT is charging Rs 5,999 every month, while in Chennai city, the same plan has been introduced at just Rs 2,999 per month. That said, Chennai residents can get the cheapest Gigabit plan from ACT Fibernet in the country. On top of the advance rental offers, ACT Fibernet recently announced its partnership with Amazon Pay. As part of the partnership, Amazon Pay will be providing 10% cashback for users who make the broadband bill payment using Amazon Pay as the payment method. Users will be eligible for getting up to Rs 1000 cashback into their Amazon Pay wallet.